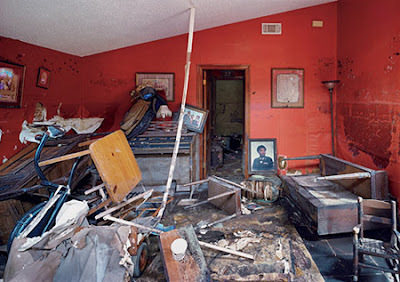 The cultural / musicological losses suffered during Katrina really almost rival that of the human suffering...eeh gads it's sad all over. Great post, and excellent offerings and presentation throughout (praise be to those who aren't too lazy for proper id tags and artwork before sharing!!). expected to go back and find it the way I remembered. Now I'm certain that won't be the case. as for the ID tags, I'm an artist myself, and have seen my photographs uncredited everywhere. so, I'm doing my best to do the right thing here. I'm taking Danny barker's spirit with me when I teach a class in Columbus, Ohio on jazz history prior to the First World War. His book, Buddy Bolden and the Last Days of Storyville, is a national treasure. 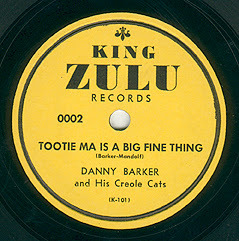 It has a very rich interview that Danny recorded in 1955 with Mr. Dude Bottley, a contemporary of Buddy Bolden. Mr. Bottley's very colorful memories take us back to the 1890 days of Lincoln Park when his brother Buddy Bottley and Buddy Bolden were the star attractions. Thanks to Danny Barker for capturing our pioneering jazz culture and Sylvia Barker for keeping the flame. Our ancestors are still here.